Enjoy the open concept and thoughtful design of the McClean, by Great Southern Homes. 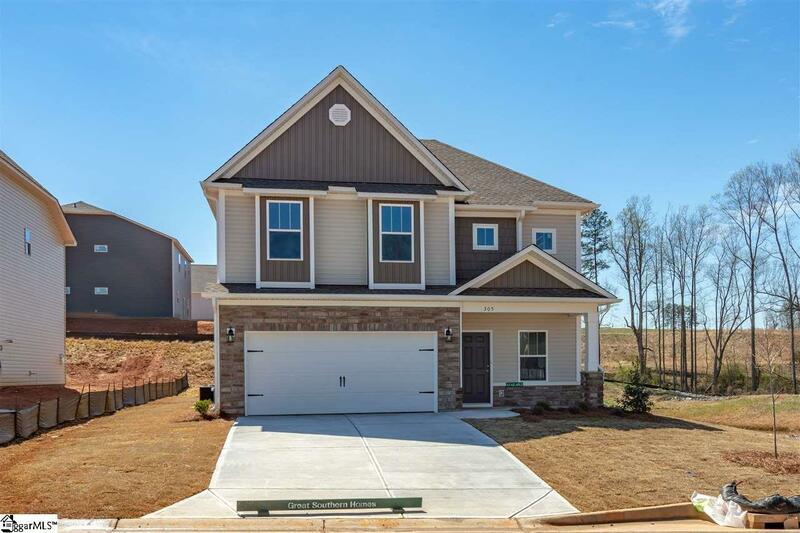 The McClean floorplan utilizes 1,900 square feet and includes 4 bedrooms, 2.5 bathrooms in Wilson Farms, one of the fastest growing new communiites in the upstate! The first floor is perfect for entertaining with an open floorplan, granite countertops and extra large granite island in kitchen along with custom Dallas White Quaker Cabinets. 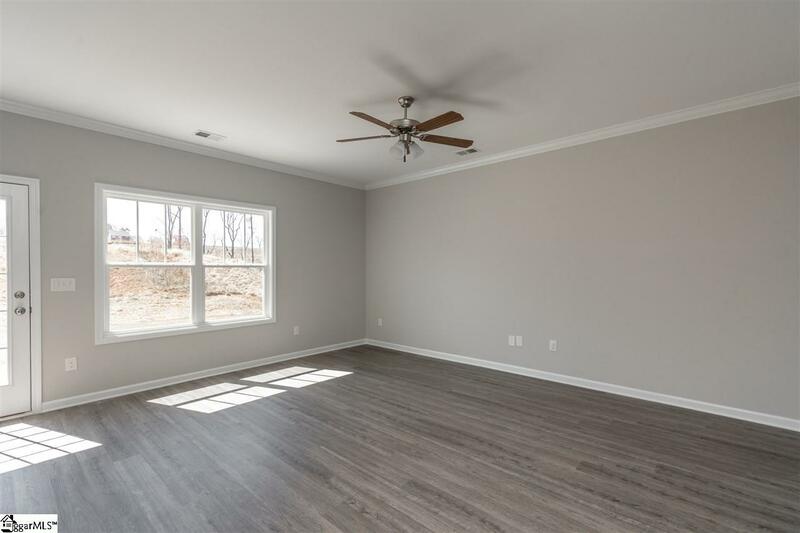 You will love the Rockport Grey Luxury Vinyl Tile floors throughout the first level which includes an eat in dining area off the kitchen, powder room and mud room/flex space attached to the two car garage. Upstairs you will find a delightful master bedroom with trey ceilings, plenty of space and two walk in closets. The master bathroom includes dual sinks, garden tub and seperate stand up shower. The three additional bedrooms are spacious and private with charming accents, large closets. Guest bathroom includes dual sinks and a private shower and washroom, which allows for the space to be easily shared. 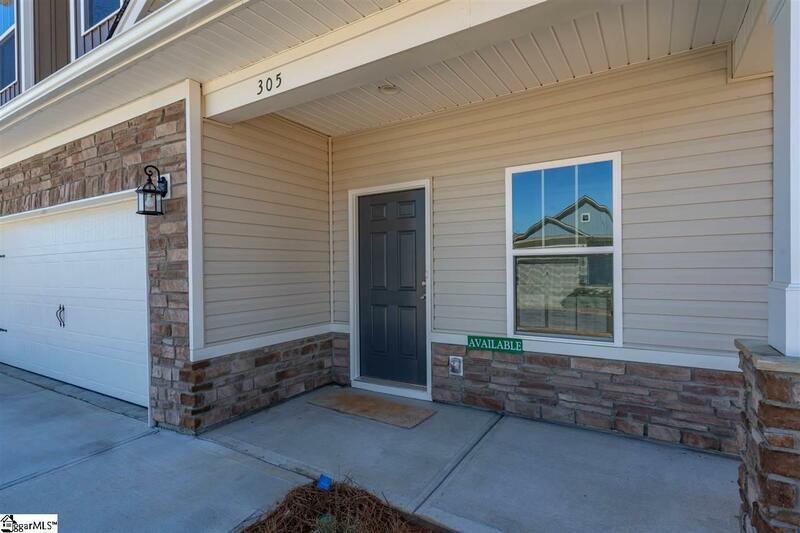 This home is move in ready and can close in 30 days or less! 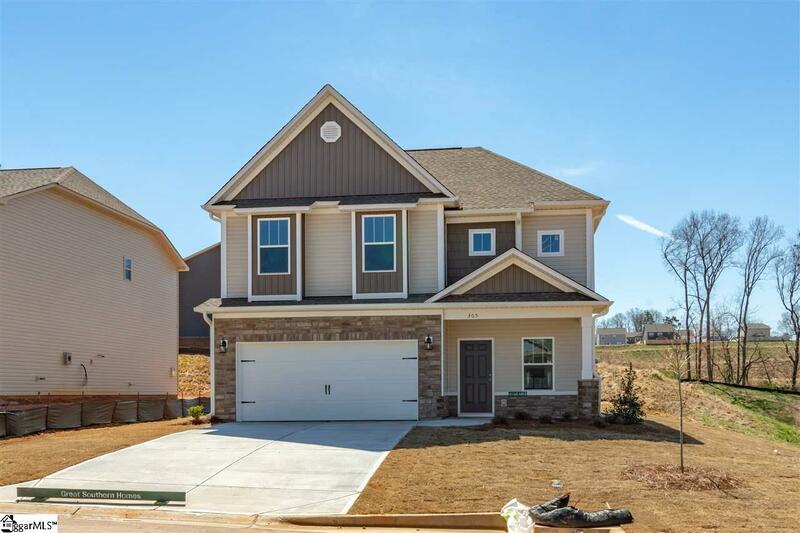 Wilson Farms is one of Great Southern Home's fastest communites in the upstate, minutes from Greer, BMW and GSP airpot. These impeccably detailed new homes feature the style and detail of homes of the past, with the upgrades and advanced technologies that new home buyers have come to expect. Great Southern Homes offers many upgraded options as standard features in our new home such as Honeywell's Home Automation System, ports for overhead speakers in the kitchen, and many GreenSmart features to make your home more energy-efficient which in turn will save you money on your energy costs. We also include Granite countertops in both the kitchen and bathrooms, sodded yard with automatic irrigation system, concrete patio and covered front porch. Wilson Farms is located between Greenville and Spartanburg, in the award winning District 5 schools,close to dining and shopping. Community pool will be open by the start of Summer 2019! This neighborhood is brought to you by Great Southern Homes, a Nationally ranked top 100 builder and one of the fastest growing builders in SC AND the Upstate. Awarded by the Home Builders Association of Greenville the "Green Builder Award in 2018! Wilson Farms is USDA Eligible, offering 100% financing for qualified buyers. Stop by our model home today for more information! Only 6 lots left in Phase One! Listing provided courtesy of Melissa Jones of Coldwell Banker Caine/Williams.